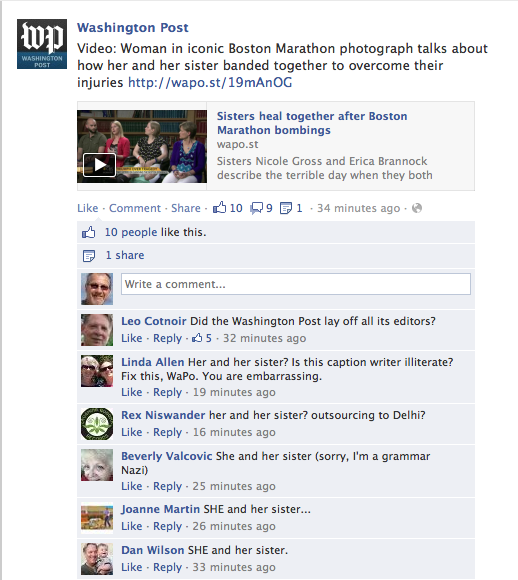 This entry was posted in Journalism and tagged grammar, washington post by stephenbromberg. Bookmark the permalink. The Rules of Grammer are suspended on the Interwebs.